Skye Gravestones | Johan ((Macleod) & John Nicolson, d. Annie. Johan ((Macleod) & John Nicolson, d. Annie. 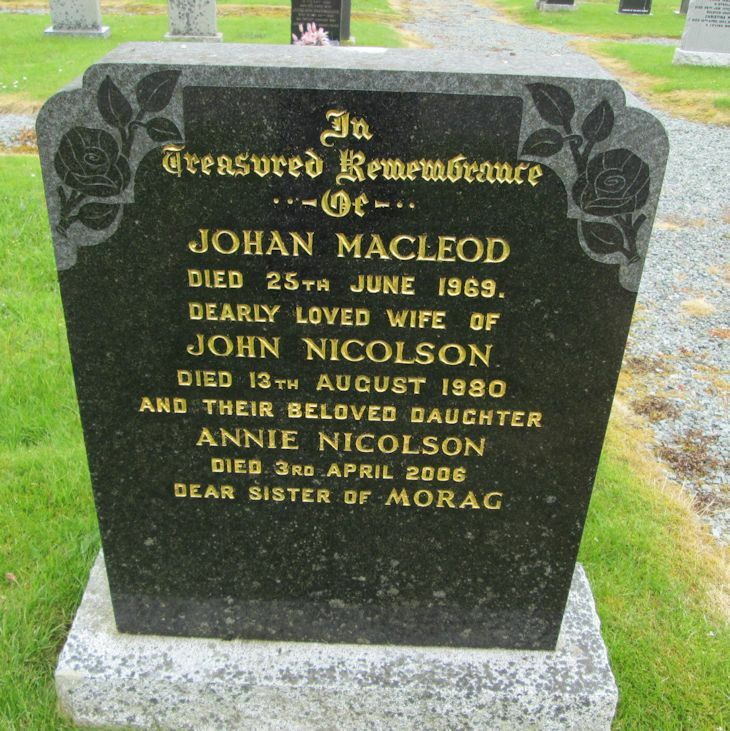 In/treasured remembrance/of/JOHAN MACLEOD/died 25th June 1969/dearly loved wife of/JOHN NICOLSON/died 13th August 1980/and their beloved daughter/ANNIE NICOLSON/died 3rd April 2006/dear sister of MORAG.